Not just decapitate the regime — destroy the entire country of 25.4 million people. “Rocket Man is on a suicide mission for himself and for his regime,” Trump added, in a mocking reference to North Korea’s leader, Kim Jong Un, who has conducted missile tests in recent months, including a July test of an Intercontinental Ballistic Missile that experts say could put all West Coast cities and others in range if the trajectory is tweaked. The CIA has also reportedly concluded that North Korea has figured out how to attach a nuclear payload to the missile. It is difficult to parse what this administration’s North Korea policy truly is, given the conflicting statements made by officials. Does Trump see a military strike as the preferred way to resolve the North Korea nuclear program or as a last resort? Does he just like appearing tough? Who knows? But the world — and especially we here in California — should be concerned. But Trump’s remark, for me, went beyond that. It was dangerous both because of how he is perceived abroad — as a reckless, bombastic leader with no strategy or understanding of the Korean Peninsula’s history or geopolitics — and because North Korea’s capabilities have advanced since those presidencies. Trump makes things worse by needlessly boasting of American military might. Near the start of his UN speech, he reminded the world that the U.S. Senate just approved $700 billion in additional defense spending. “Our military will soon be the strongest it has ever been,” he exclaimed. Meanwhile, the State Department’s Bureau of East Asian and Pacific Affairs — the office that would normally coordinate with our allies during times of heightened tension with North Korea — still only has an acting assistant secretary of state. Trump has not named an ambassador to South Korea yet, either, signaling that diplomacy isn’t a priority. At the time, analysts played down the significance of the remarks as typical off-the-cuff bluster spouted at his Bedminster, N.J., golf club. Now that he has read the threat off a teleprompter before all the nations in the world in a speech that was presumably vetted by others in his administration, it will be treated more seriously abroad. Let’s see how they do? The United States, the most powerful nation on Earth, is supposed to formulate strategies and lead. When I covered the State Department for Bloomberg News, I watched Secretary of State Condoleezza Rice convene endless, difficult multiparty negotiations to try to dismantle North Korea’s nuclear program. They failed. But now that North Korea has nuclear capabilities, U.S. leadership is ever more critical to preventing their use. North Korea wants assurances the United States isn’t planning to obliterate it. Instead, Trump has just given more reason to fear that is the plan.  Janine Zacharia, a former Washington Post foreign correspondent, teaches journalism at Stanford University.